The Idaho Falls Fire Department and community partners invite community members to join them for the 3rd annual Fire Prevention Community Block Party! 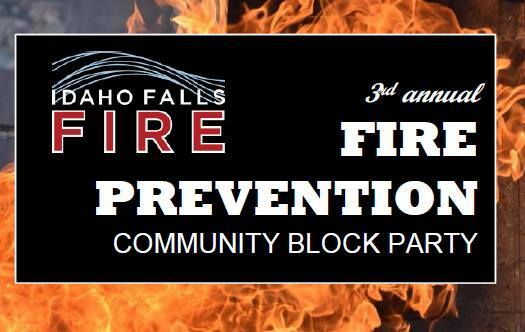 Thursday, October 11, 2018 at 5 PM – 8 PM at Fire Station #1 – 343 ‘E’ Street. This FREE, family-oriented event has something for the entire family! Hot dogs; combat challenges; face painting by Kelly Smith; exit drills; information on becoming a junior firefighter; special guest appearances by Sparky the Fire Dog and Smokey Bear; prize giveaways; and important information on fire prevention, smoke detector installation and safety tips! Food provided by the Idaho Falls Soup Kitchen and Community Food Basket – THANK YOU!